My five-year-old son and I have started reading chapter books. Well, I’ve been reading them, aloud, while he listens! 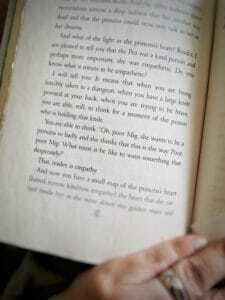 Regardless, I’m so impressed with the book, The Tale of Despereaux, by Kate DiCamillo. 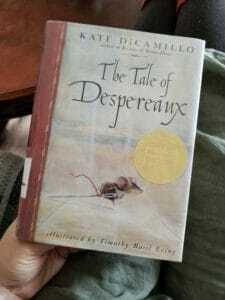 The Tale of Despereaux is a thrilling adventure that entertains boys with its epic quest and hero’s journey. My little guy loved it! However, it’s also a book that teaches empathy, kindness, and positive masculinity. No character is truly bad or good: they are all complex with our view of them changing, as we move through the story. How revolutionary is that?! Not only to teach our boys the concept of empathy but to give them a name for it, to define exactly what it is. Even better, DiCamillo does all this within the framework of a classic hero’s journey. This quintessential story framework has been inspiring sons to grow up into strong men, since the beginning of storytelling. The uniqueness of this book lies in how it shows that the classic hero’s journey can still play by the rules of positive masculinity. 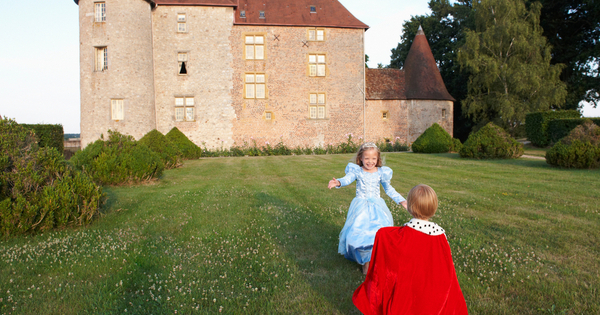 I admit that I take exception to the theme of the sweet princess being saved by the brave hero. 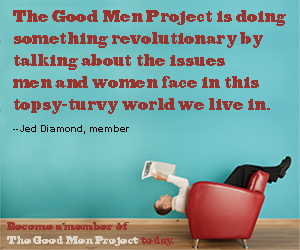 But it’s good for our boys to see how this theme, frequently repeated in movies and books, can be reframed for our modern society, endorsing the ideals of positive masculinity. He can still save the princess (if the situation calls for it). However, he needs to use empathy and kindness, as well as bravery and action, while he’s doing it. Read this revolutionary book to your son today. Totally, a fun, thrilling read with short chapters and it teaches so many great lessons. Positive masculinity for the win! A version of this post was previously published at Authentic Arts by Jenny Hoople and is republished here with permission from the author.